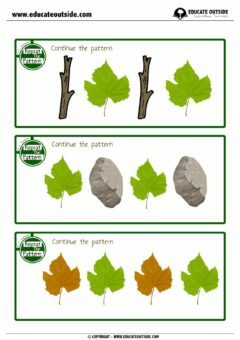 This activity is a great starting point to get your students’ eyes into spotting and continuing patterns. 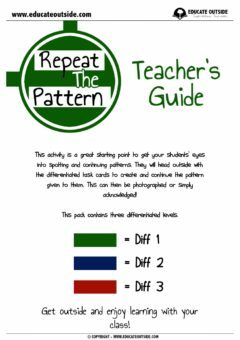 They will head outside with the differentiated task cards to create and continue the pattern given to them. This can then be photographed or simply acknowledged! 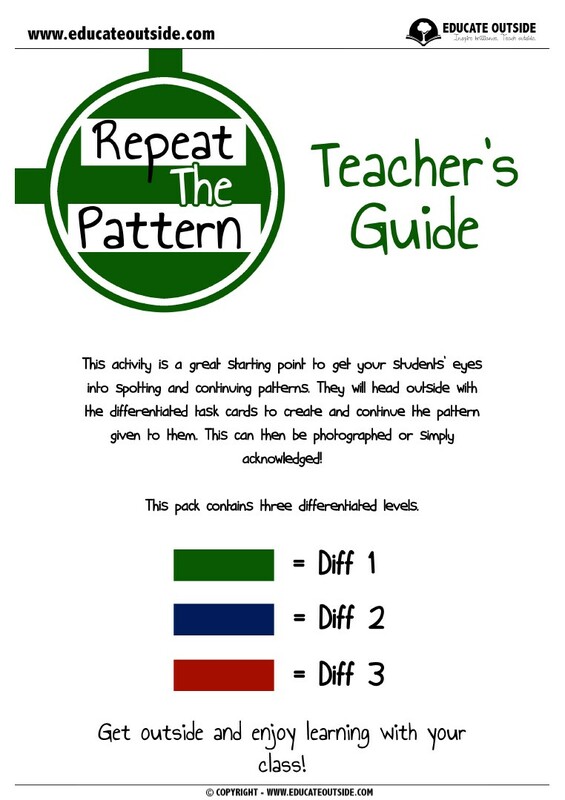 This pack contains three differentiated levels. 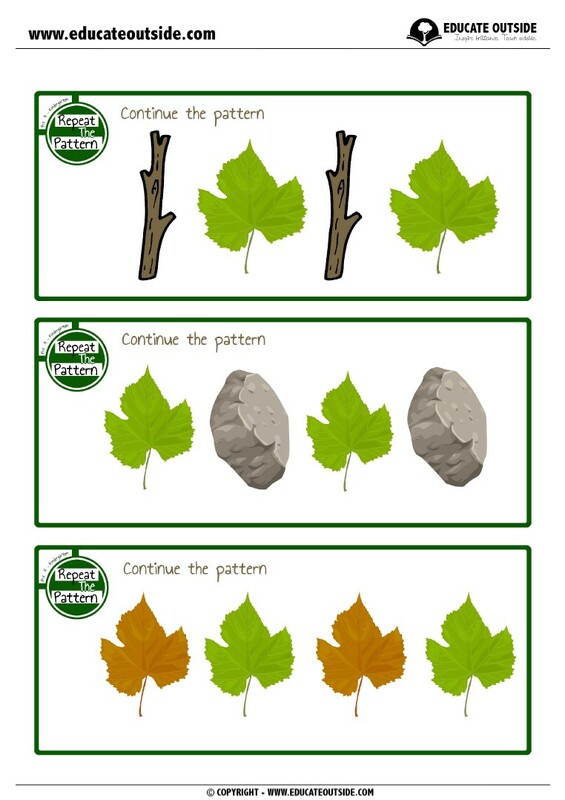 Get outside and enjoy learning with your class!